If you like your fashion a little dramatic, this top should have you crying happy tears. 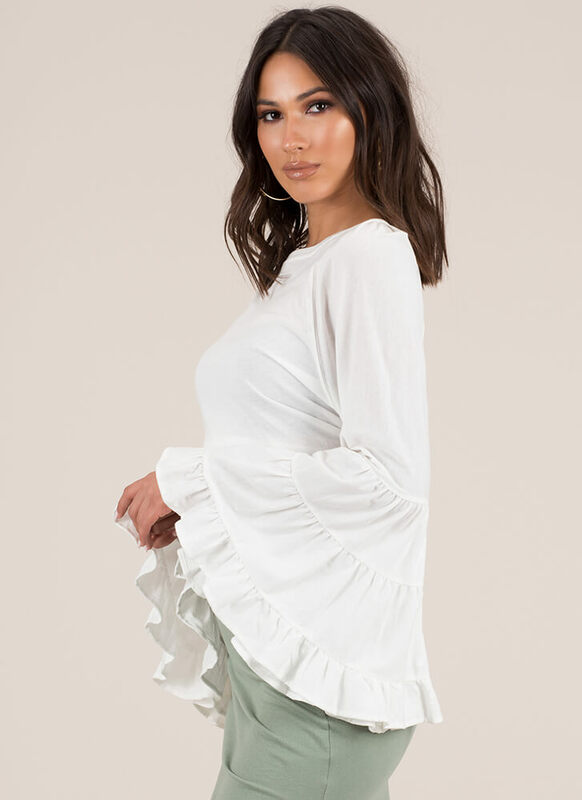 Stretchy, lightweight, cotton top features a relaxed silhouette and long, super dramatic bell sleeves that flare out extremely at the elbows into ruffled tiers. No closures are included.